» SEC 13F Filings - Quality Matters! Real estate is all about location, financial data is all about quality. Manual data check is often required to clean up problematic 13F filings. fundville.com is proud to provide the highest quality 13F data online with our sophisticated algorithm and human intelligence and experience. We are the only one that provides option data from 13F filings. You will find out whether a manager is truely hedged or genuinely interested in a stock. You don't need to download the data and run your customized spreadsheet anymore! fundville.com give you all the institutional investor holding information in a easy-to-use format. If you need more data, write us a note and we may add it in the future. Yahoo Finance and MSN only give you the top 10 institutional holders of a stock. We DOUBLE it to TOP 20! We also rank the institutional investor holdings according to asset level. It's vastly different between a smart hedge fund put 10% of its money into a stock and a mammoth mutual fund bought the same stock with only 0.1% asset. Find the managers who have convictions in your stock. Studies show that top holdings of professional managers beat market significantly in long term. We have developed powerful tools for investors to "copy" the best ideas of investment masters and hedge fund gurus. Definitely check out our Master and VpStock tools. Warren Buffett is the second richest person in the world. He is the chairman of Berkshire Hathaway. 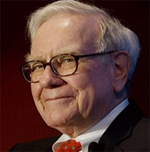 Warren Buffett’s annualized return is around 21% for his 40 years long investment career. 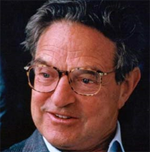 George Soros is a legendary trader and will be foreverly known as the man who broke the British pound. He is the founder and chairman of Soros Fund Management. 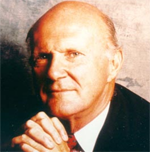 Julian Robertson is the man behind the legendary Tiger Management LLC, NY. He is the most influential hedge fund manager, the original Tiger Daddy. Be sure to check out our blog "The Ultimate Guide to Tiger Cubs and Tiger Seeds". John Paulson is the president of Paulson & Co., Inc., a New York-based hedge fund. 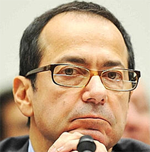 John Paulson made $15 billion during the subprime crisis in 2007. 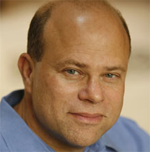 David Tepper is the founder of Appaloosa Management., a Short Hill, New Jersey-based hedge fund. David Tepper bet massively on the recovery of financial stocks and made $7 billion in 2009. If you are allowed to view the portfolio of only ONE hedge fund manager, you should choose Bill Ackman's Pershing Square. 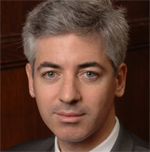 Bill Ackman is the founder of Pershing Square., a New York-based hedge fund. His recent successful investments include Wendy, Wachovia preferred stocks, Longs Drugs, and General Growth. General Growth's stock has appreciated at least 10 times since he initially disclosed his investment in the stocks of the bankrupt company.